Headquartered in New York City Joseph A. is a vertically integrated division of Tharanco Lifestyles LLC, a holding company with a dedicated senior management, design, sourcing, sales and distribution. Known for high quality separates including sweaters, knits , pants, dresses and blouses, Joseph A. offers the perfect items to wear from both desk to dinner. Versatile, modern, always innovating in yarns, fabric and design, this brand is a great addition to any wardrobe. Joseph A believes in listening to the customer as well as informing, so please follow us on Instagram and Facebook for the newest fashions and please sign up to our newsletter for special offers. 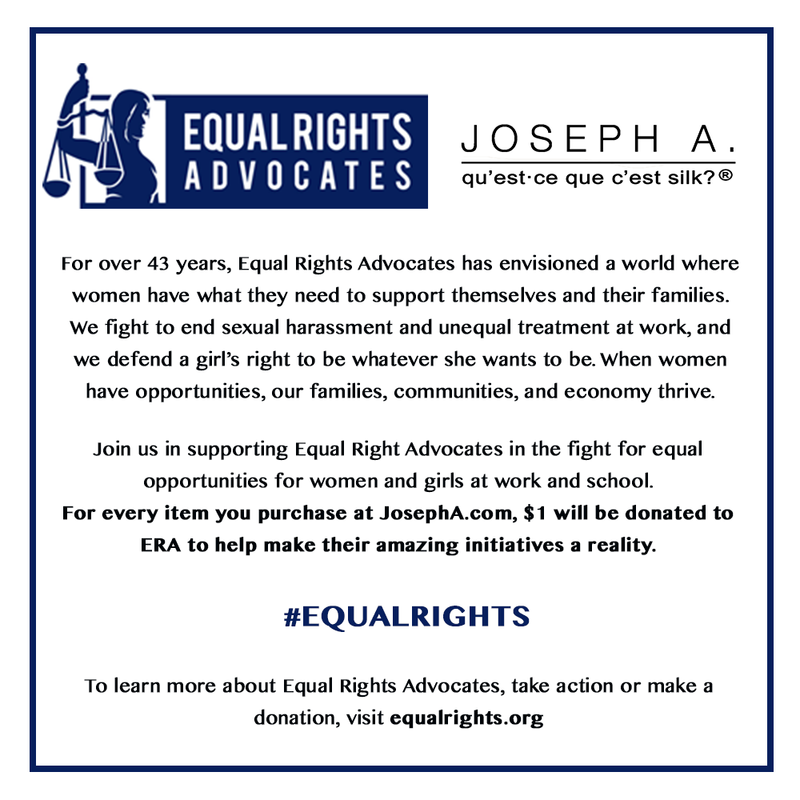 The Joseph A team wants to be part of the community and believes deeply in giving back to our community, so please follow our collaborations throughout the year.